This pack's purpose is to provide an optimal recovery, intensity and frequency of the training sessions. In order to success as an athlete it is essential to improve the recovery. This combination of supplements will shorten your recovery. Save money with our packs. 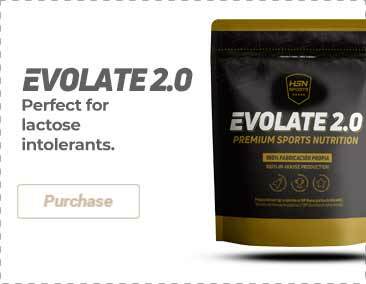 Improve your energy and muscle recovery after exercise with this powerful combination of nutrients that will act synergistically in order to provide you with all you need when you need it more. Improve your performance and shorten your recovery with this specially designed Crossfit Pack. Special supplements for cyclists. Achieve the best performance and recover better with this special pack for cyclists. Range of products meant to optimize recovery processes after workouts. The "Better Recovery" Packs are intended to provide the sportsperson or athlete with the necessary elements to ensure their correct recovery after exercise, a competition or any other activity of physical relevance. Depending on the type of activity that is being carried out, we can acquire a pack that also incorporates mineral salts and electrolytes, if the physical activity is resistive and of a long duration, or, another option that includes creatine, if the activity has a defined nature that requires power and strength. In this way, we seek to recharge the energy reserves as well as providing the necessary nutrients for the regeneration and construction of muscle fibers. The recovery process is vital to successfully assimilate the workouts and not to negatively affect the performance, in addition to enabling us to be 100% available for the next session.